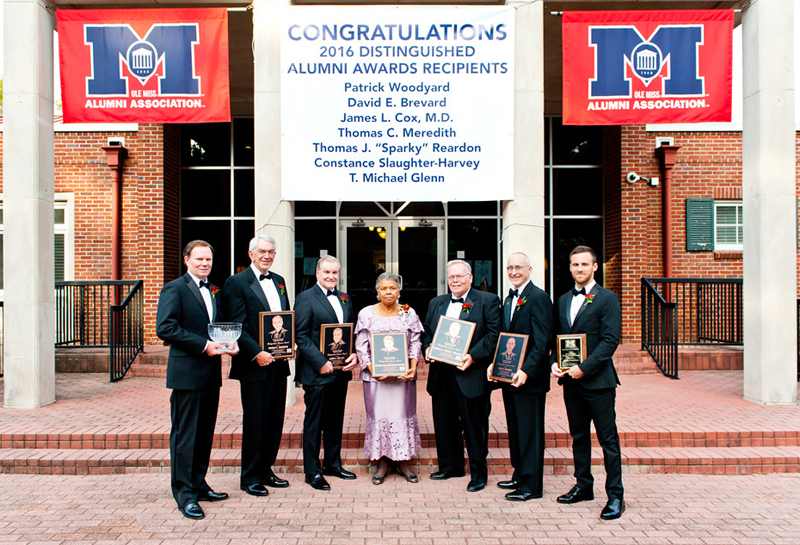 The Ole Miss Alumni Association annually inducts a few of its most distinguished alumni into the Hall of Fame. The ceremony is part of Homecoming Weekend festivities and will be held this year on Oct. 13. Regular nominations are encouraged to ensure that that the selection committee always has a broad range of worthy individuals to consider for the each class. All alumni are eligible for consideration. From the nominations submitted, not more than five outstanding alumni are chosen by a seven-member committee and are inducted into the Alumni Hall of Fame. For alumni to be considered for induction into the Hall of Fame on any given year, nominations are required on or before April 1, though nominees remain in the selection pool for three years. Anyone may submit the name of a University of Mississippi alumna or alumnus to be nominated. Criteria and eligibility information can be found on the Alumni Association website HERE along with a complete list of information and materials needed for nomination submissions as well as a list of past recipients. It is essential that all materials pertinent to the nominee be submitted, as the Hall of Fame Committee will do no further research. Materials may be submitted via email to alumni@olemiss.edu and/or mail to Hall of Fame Committee, Triplett Alumni Center, P.O. Box 1848, University, MS 38677-1848. 2016 Distinguished Alumni Awards Recipients (L to R): T. Michael Glenn (BBA 77), Alumni Service Award recipient; Thomas C. Meredith (EDD 71); James L. Cox, M.D. (63); Constance Slaughter-Harvey (JD 70); Thomas J. “Sparky” Reardon (BAEd 72, PhD 00); David E. Brevard (BA 78); and Patrick Woodyard (BA 10), Outstanding Young Alumni Award recipient.